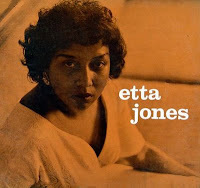 Here is a very good song performed by the great Etta Jones. Etta Jones (1928 – 2001) was an American jazz singer whose critical success and relative commercial obscurity earned her a reputation in her lifetime as a "jazz musician's jazz singer". A highly underrated singer who rarely received the recognition she richly deserved, Etta Jones is noted for her elegant interpretations of standards, ballads, and blues. Her characteristic inflections have sometimes prompted comparisons to stylistic devices employed by Billie Holiday and Dinah Washington. Her first recordings — "Salty Papa Blues", "Evil Gal Blues", "Blow Top Blues" and "Long, Long Journey" — were produced by Leonard Feather in 1944, featuring her in the company of clarinetist Barney Bigard and tenor saxophonist Georgie Auld. Her last recording, a tribute to Billie Holiday, was released 57 years later on the day of Jones' death. Only one of her recordings — her debut album for Prestige Records ("Don't Go to Strangers", 1960) — enjoyed great commercial success with sales of over a million copies. Her remaining nine albums for Prestige and, beginning in 1975, her numerous recordings for Muse and High Note secured her a devoted following among two or three generations of listeners. She had three Grammy nominations, for the Don't Go to Strangers LP in 1960, Save Your Love for Me in 1981, and My Buddy in 1999. In 2008 the album Don't Go to Strangers was inducted into the Grammy Hall of Fame. Following her recordings for Prestige, on which Jones was featured with outstanding arrangers such as Oliver Nelson and jazz stars such as Frank Wess, Roy Haynes and Gene Ammons, Jones had a musical partnership of more than thirty years with tenor sax player Houston Person, who received equal billing with her. 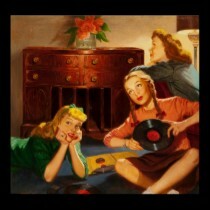 He also produced her albums and served as her manager, after meeting in one of Johnny Hammond's bands. As the singer who perhaps came closest to the "natural" sound and phrasing of Billie Holiday, Jones brought to the fragile and vulnerable Holiday persona a bite and power reminiscent of Dinah Washington. She knew pain and loss (especially following the death of a daughter) but did not let it cast a melancholy aura over her performances. 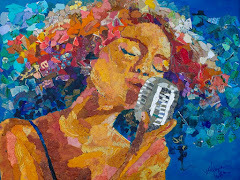 Jones was born in Aiken, South Carolina, and raised in Harlem. She died at the age of 72. Enjoy Etta Jones' fine style!